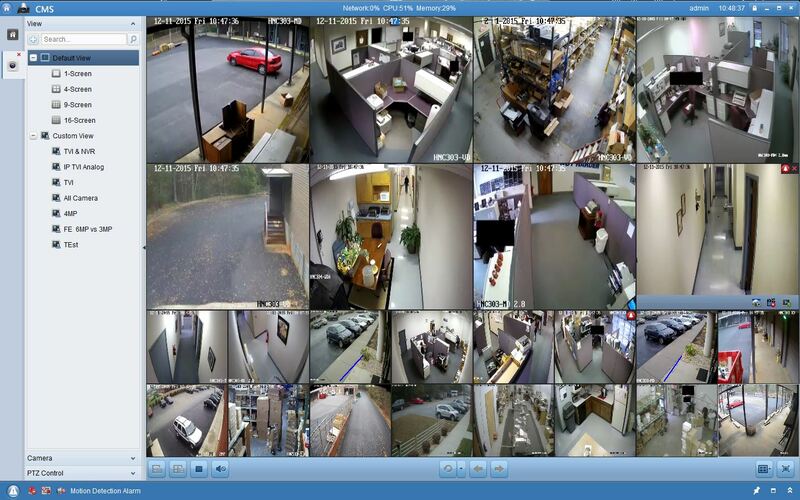 Our video surveillance system allows you to access your cameras online. Video surveillance provides a necessary component to any retail business. Not only does surveillance deter theft, but it also creates a safe environment for employees and protects your profits in various ways. With our video surveillance systems, you can even access your security cameras via web browser or via an app for your iPhone, Android, or tablet. Additionally, you can set up motion detection alerts via email or text to alert you when there is suspicious behavior at your location after hours. There are so many benefits to having video surveillance systems in a retail environment. Just the sight of a video surveillance camera can dissuade potential thieves from stealing. This is the most primary benefit of having video surveillance cameras. If a thief is undeterred and steals anyway, video surveillance footage provides the necessary evidence to catch a thief in the act. You can even set up our video surveillance system that can be accessed online via your computer or smartphone, so you can check up on your retail business whenever and wherever. This is especially helpful if you have multiple retail locations and want to be able to access your video surveillance from one place. If you ever find yourself in a legal battle or need to make an insurance claim, recorded video surveillance can prove to be an essential tool to protect your retail business. Having video surveillance in a retail setting helps to put your employees at ease. Thievery is common in retail stores, so many retail employees come to expect thievery to happen if there are no surveillance cameras in place. This creates a stressful workplace and can contribute to high turnover rates. To create an environment where employees feel safe and valued, you can install a clearly visible video surveillance system. Potential thieves will look at the cameras and be deterred, while employees will look at the cameras and feel safe. Another great way the video surveillance systems protect retail businesses profits is by aiding management. With video surveillance, you can watch your employees when you’re not physically present and see how they act when you’re not around. This valuable information helps to shape the feedback and training you give each employee, creating a very personalized management experience. You can utilize video surveillance to get your team functioning with peak customer service and high standards in mind. 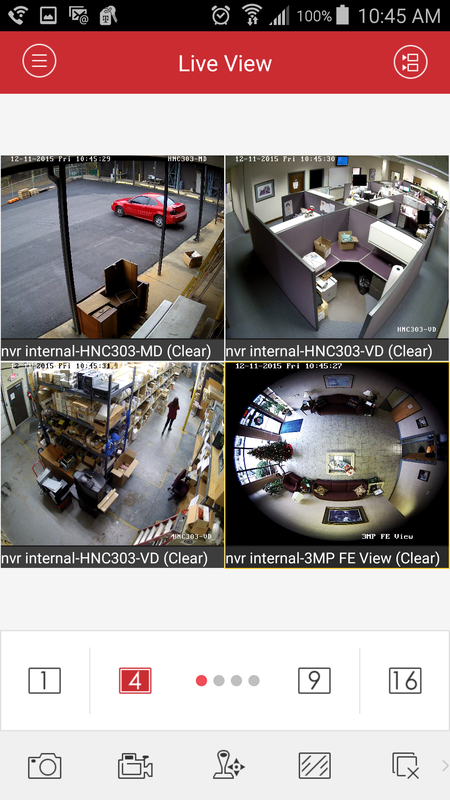 The mobile view of your video surveillance system when accessing an app via smartphone or tablet. Are you interested in implementing or upgrading your video surveillance system to secure your business? 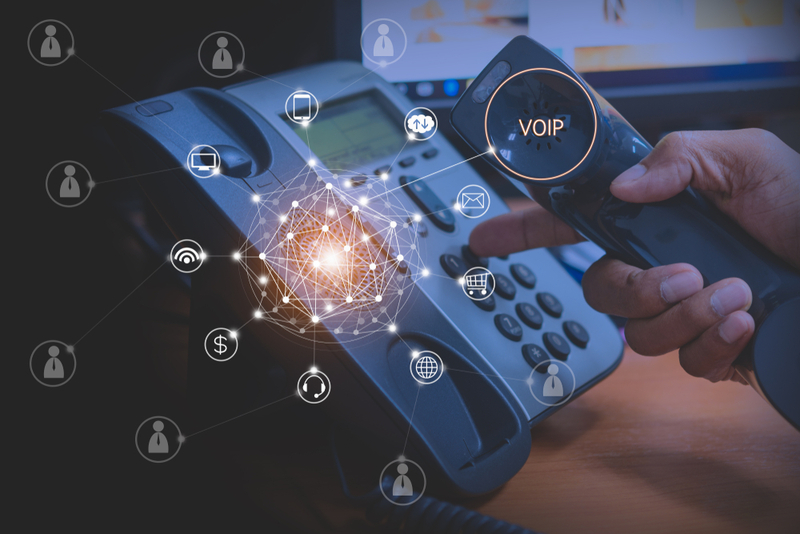 Or updating your phone system to improve your customer service experience? Call McEnroe in Maryland, D.C., Northern Virginia, or Central Pennsylvania at 1-800-727-1607 or in Maryland or D.C. at (703) 903-9881, or simply contact us on our website! We offer a free consultation, so be sure to get in touch and take advantage of this free service. Want to keep up with the latest in voice and data news? Follow us on Facebook, Twitter, Google+, Pinterest, and Linkedin!